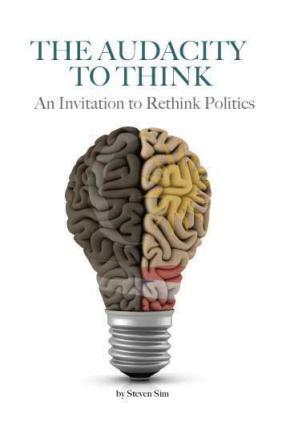 This is my first book, written from my experience both as a participant of active politics as well as from my background as a student of philosophy. I hope to discuss political concepts we take for granted using illustrations from my own story, hoping to encourage readers to think and rethink politics, forming their own perspective and therefore participation in this important area. In a time when we are faced with emotional and often reactionary politics, to have clear thinking about our political future is audacious. Checkout the book’s website for more information, including how to purchase your copy.